After receiving a copy of ‘The Sun and Her Flowers’ for my birthday this year, I was particularly intrigued to give Rupi Kaur a chance. Although I had heard mixed reviews from friends, as a poet myself, I was ready to start the anthology with an open mind and low expectations- and I’m so glad that I did. Rupi Kaur is a Canadian poet with Punjabi roots, who rose to prominence in 2014 with her self-published poetry anthology ‘Milk and Honey’. Her book was immediately successful. But the big question on everybody’s lips was whether she could follow it up with something just as thought provoking and fresh. 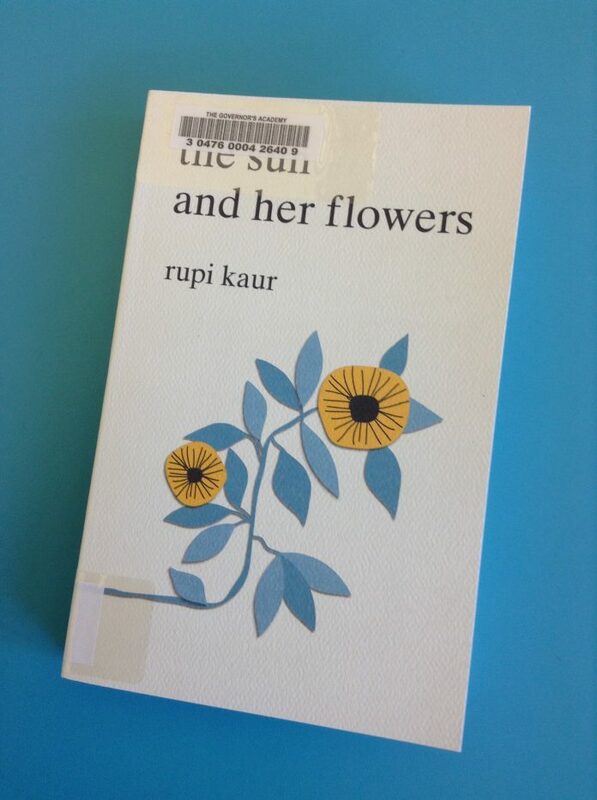 ‘The Sun and Her Flowers’ was released in October this year, and although already selling its fair share of copies, has been subject to many a mixed review. The anthology follows a similar format to ‘Milk and Honey’, being split into parts and continuing Kaur’s distinctive poetic style, accompanied with her own illustrations. However, the anthology goes into some of the more personal details of Kaur’s life, and this time uses the extended metaphor of a flower to frame the format of that book- wilting, falling, rooting, rising and blooming. The simple style and vocabulary of Rupi Kaur seems almost effortless. It manages to be creative and refreshing while offering a literary piece that is accessible to all- and in that lies its genius. Despite this, many critics have pointed out that Kaur’s style is very ‘tumblr’ and perhaps therefore not completely original. Furthermore, the simple language and message of the work, while accessible, may not appeal to readers of traditional poetry. Arguably though, it seems equally powerful in provoking a reaction among literary critics and poetry fans. Taking this into consideration, I found the works difficult to read without taking negative reviews and opinions into account. Although some downfalls may include the use of simplified vocabulary and conventional rather than novel metaphors, I did not feel that this took away from the overall impact of the anthology in acting as an empowering piece for all audiences- particularly those from immigrant backgrounds. Next articleCan Stranger Things avoid the curse of the sequel?